Will the Loonie resume its rally soon? Judging from USD/CAD’s 4-hour time frame, it does seem so! The pair has been climbing for the past few days but it appears to be stalling at the 38.2% Fibonacci retracement level. And why wouldn’t it? 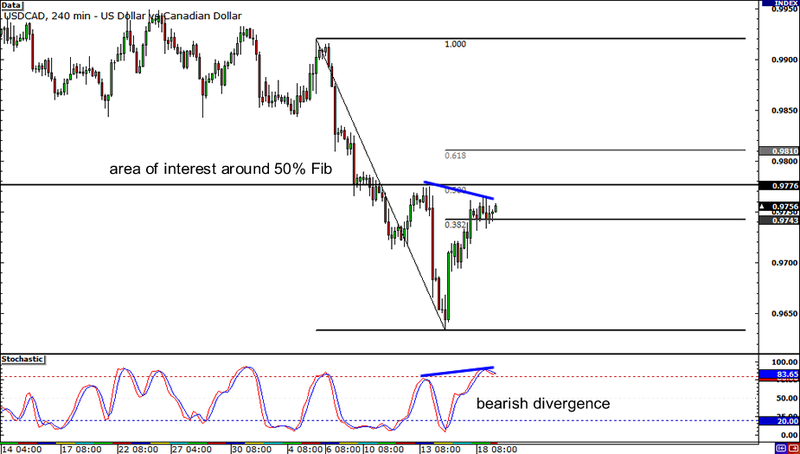 A bearish divergence has formed right there! Stochastic hasn’t quite moved out from the overbought region though, and there might be a chance that USD/CAD could pull up as high as the area of interest around the 50% Fib before actually heading south. After four consecutive days of pushing GBP/USD higher, it seems that pound bulls are getting exhausted and unsure whether to head further north or not. A doji has formed close to the pair’s former highs around the 1.6300 major psychological level, hinting that bulls and bears are having quite the tug-o-war at the moment. 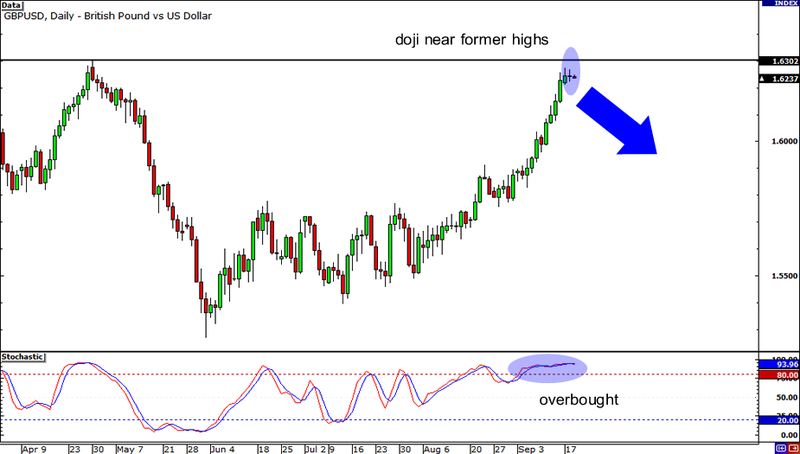 Stochastic is deep in the overbought region, which means that pound bears are itching to pounce. If you’re planning to short, wait for the next candlestick to close below the doji’s low as confirmation of the reversal signal. 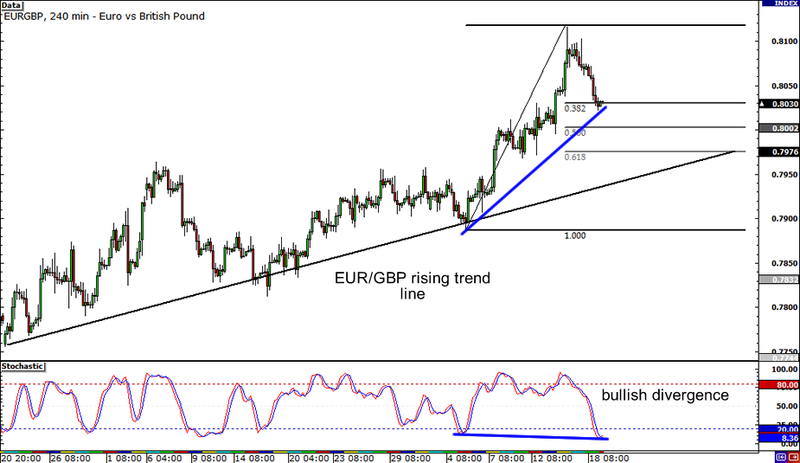 EUR/GBP has been on a steady uptrend for nearly a couple of months now, as shown by the rising trend line on the 4-hour time frame. The pair seems ready to retrace though, as it is currently sitting at the 38.2% Fibonacci level. At the same time, a bullish divergence has formed with price making higher lows and the oscillator making lower lows. If the 38.2% Fib fails to hold as support, don’t forget that the 50% Fib is in line with the .8000 handle while the 61.8% Fib coincides with the rising trend line, all of which might act as support for EUR/GBP.